Bindu Dadlani was born in an Indian Sindhi business-oriented family on October 15th, 1973 in Lanzarote, Canary Islands, Spain. Her extensive traveling around the world from a very young age allowed her to master 4 different languages, experience over 15 different cultures & religions, understanding cross-cultural boundaries. One of the key essences she brings to the success of any corporation or individual is peaceful conflict resolution by achieving win-win negotiations across different mind-sets. A graduate from Boston University School of Management with a concentration in Finance and from Harvard University with a major in E-Commerce, her passion unveils the key strategies to mastering the “monkey mind”. Her focus is “Empowering Unlimited Success Potential in Every Mind through the Power of Unconditional Love”. Her techniques and unique method are transforming professionals, men and women across the world into enlightened beings. Bindu Power Coaching was founded out of the need to provide personalized solutions to the problems that affect us daily. She is able to provide brilliant game plans and successful strategies to everyday challenges. She helps individuals discover their essence, live their truth, uncover their hidden potential and transform their visions into realities. 1. You are the Founder of Bindu Power Coaching and the Founding Fellow of Institute of Coaching at McLean Harvard Medical School. Please share with us your path to these roles. Bindu: Since childhood, I have been interested in the workings of the mind and its emotions. Twenty years of conscious work, research, travel, inner thirst and longing for a deeper sense of life has led me to find powerful techniques that I now actively use with my clients worldwide. Bindupowercoaching.com was born out of the need to provide solutions to the problems that affect us, personally and professionally, in every day lives. We are constantly bombarded with the control of people or situations that keep us from being who we truly are. My goal is to help anyone interested reach their full potential and help them transform their vision into reality. Everything IS POSSIBLE if we have the right tools to work on. As a Founding Fellow of the Institute of Coaching Professional Association affiliated with McLean Hospital and Harvard Medical School, I am able to continue with my deep mindful research building the scientific foundation and best coaching practices, raising the bar on the brand of coaching and enhancing my knowledge and expertise in my profession. Bindu: Each day is different. All start with an inner connection first. All end with an inner reflection. At all times I make a check on the to-do list making sure I am on track. While doing this, I allow the flow of the Universe to take me where it knows best. A common denominator to all days is keeping creativity, innovation and strategy alive. Part of my day includes listening within, touching the lives of people and serving as an instrument in what my surrounding, followers and clients need. 3. What was the best advice you received when you founded Bindu Power Coaching? Bindu: Be Yourself. Trespass Limitations. Never allow anyone to break your dreams. Make it happen. Take one step and the rest will follow. Never give up. 4. What are your strategies for building awareness of Profitable Personal Brand, short and long term? Bindu: Always keeping harmony of thought, word and deed. Integrity and honesty are a must in truthful personal branding. This will allow for profitable cash flows in the future and upward growth towards brand awareness. When consumers, customers and followers see that what is been said coincides with what is being done, brand loyalty grows into an indefinite optimistic stream of revenues. Also, I am very much involved with social media, keeping myself visible where needed. 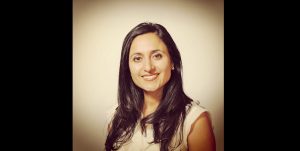 Bindu: The change I see in my clients after working with Bindu Power Coaching´s Method. The change I see in myself through my work. The growth I perceive for the future. Bindu: My life on earth is meaningful when I am able to touch someone´s heart in ways that melt my feelings: feeding the poor, meeting the needs of the most underprivileged in society, empowering women by taking them to the next level, finding ways to bring harmony to the uses of world resources…these actions inspire me to live on earth and feel as an asset in life´s mission. Bindu: My personal and professional accomplishments are intertwined. To this day, my parents, my brother, my godmother, my husband and my Lord have been upmost influential. Above all, my inner voice has been key. 9. What is your advice for entrepreneurs who are 1-3 months away from launching their new business? Bindu: First, create a strong substance and brand. Make sure it is unique and has proprietary technology that will make your product difficult or impossible to replicate. Take the time to build the base needed for growth. Create a product or service that is 10 times better than your competitor. It will help tremendously to position yourself in the market once it is launched. Avoid competition. Start with a small market and expand. Create a monopoly.